So when will the marvel open? That’s the big question Chen said he tries to answer “hundreds of times every day.” He said initially they were confident they could open the bridge in May, but excessive spring rain slowed opening. The government also got involved after all the media coverage, according to Chen, and is currently conducting an inspection to make sure nothing goes wrong. The inspection has also delayed the grand opening. 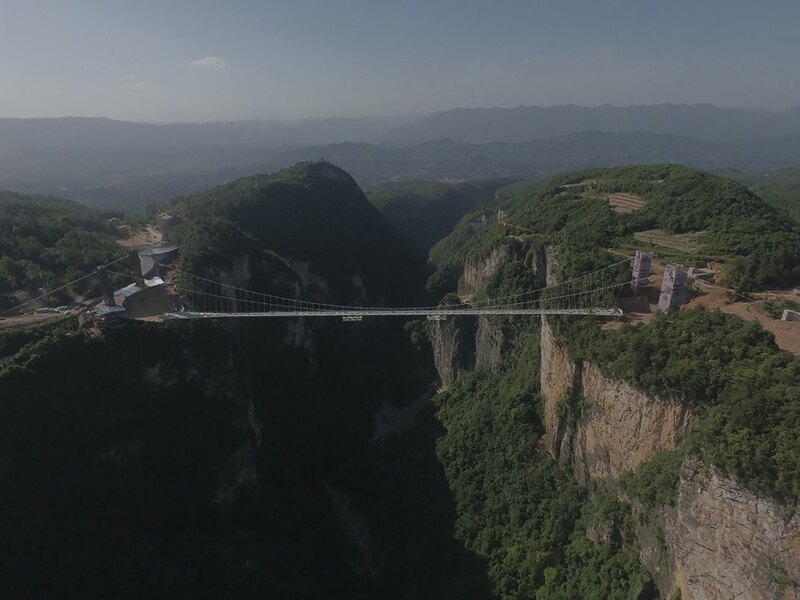 Images via Haim Dotan Architects and courtesy of Zhangjiajie Grand Canyon Tourism Management Co., Ltd.
China's Zhangjiajie Grand Canyon glass bridge will include a bungee platform and three swings. 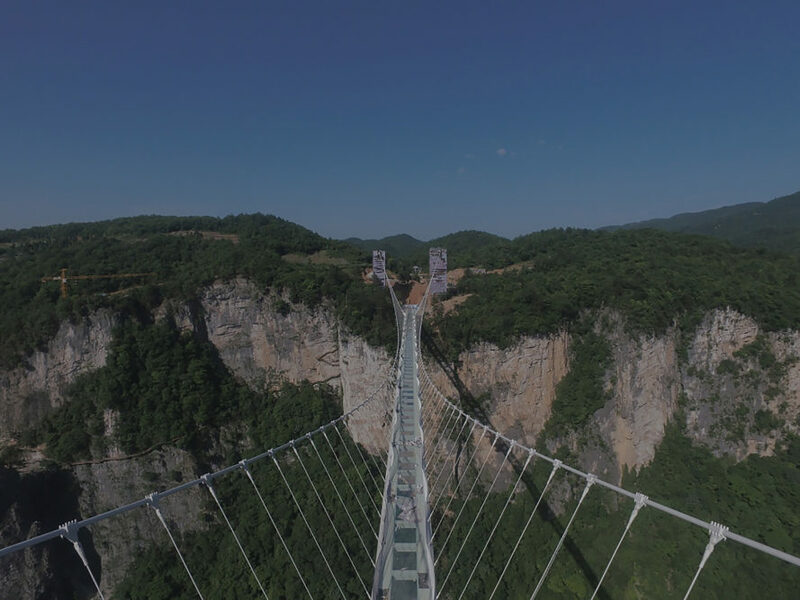 According to Vice General Manager of the Zhangjiajie Canyon Tourism Management Co. Joe Chen, the bridge could open in June or July. The bridge is almost finished. The company building the bridge says it has gone through over 100 safety tests. However, the bridge won't open until Chinese authorities conduct their own inspection. The glass bridge will be the longest and tallest in the world. It is located in southern China in the Hunan Province. 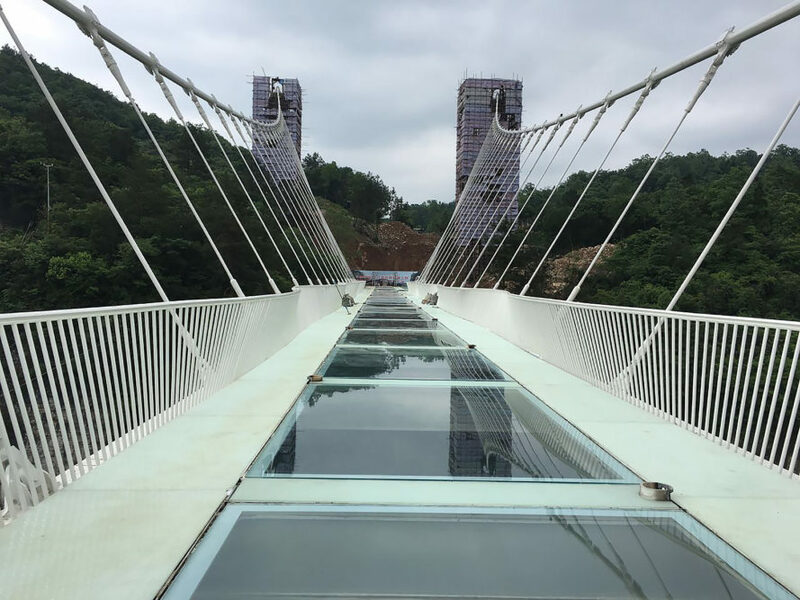 The completion of China's latest glass bridge, the Zhangjiajie Grand Canyon Glass Bridge designed by Haim Dotan Architects, has been delayed, but thrill-seekers won't mind the wait. 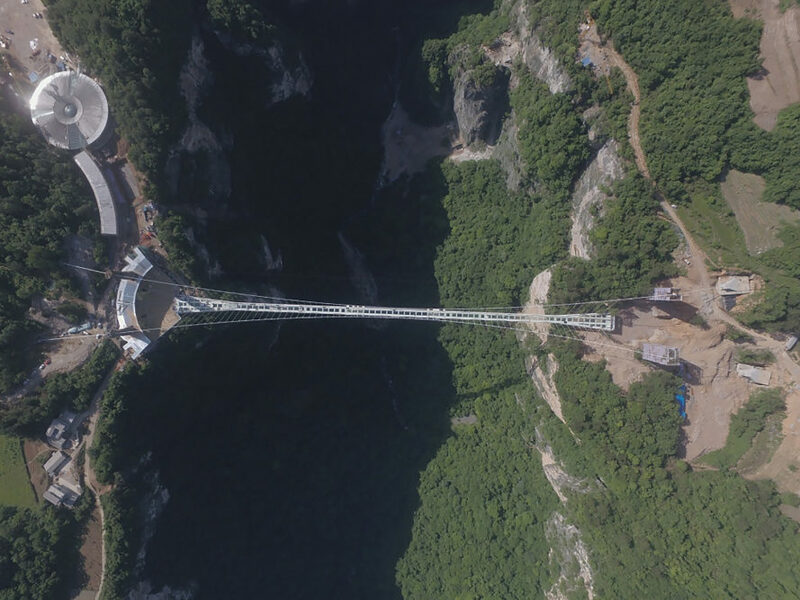 Vice General Manager Joe Chen of the Zhangjiajie Canyon Tourism Management Co. confirmed to Inhabitat the Zhangjiajie Grand Canyon Bridge will include not one swing, but three. He also hinted when the bridge could open.